When it comes to buying a new rug for your home, it is important that you are able to differentiate between the options you have available. The best way of doing this is by building a bit of background knowledge in rug terminology. For example, you may be faced with the option of choosing a traditional rug or a kilim rug. Which do you choose when presented with the two options? Knowing the differences will help you make an informed decision, and we’re going to tell you those differences! 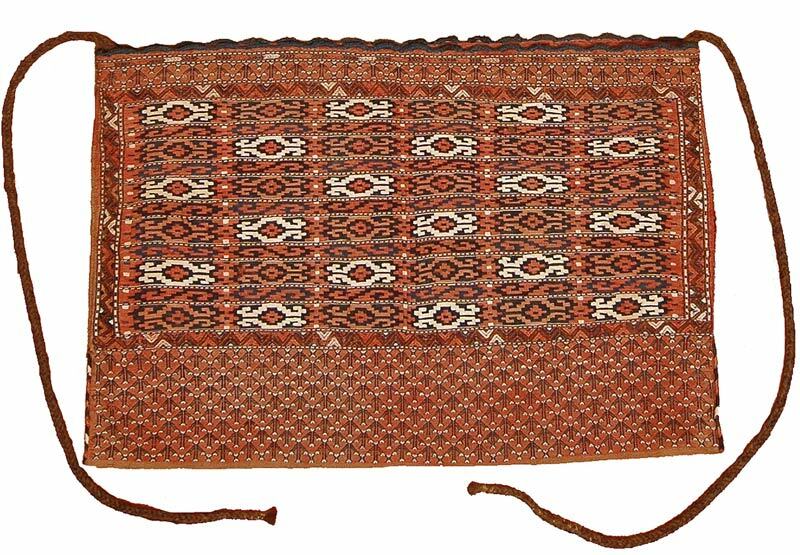 The word ‘Kilim‘ is a word of Turkish origins and connotes a pileless textile of many uses and are usually produced by one of several flat weaving techniques. These techniques often have a common, or closely similar heritage and are usually practised in areas such as parts of Turkey, North Africa, the Balkans, the Caucasus, Iran, Afghanistan, Pakistan, Central Asia and China. 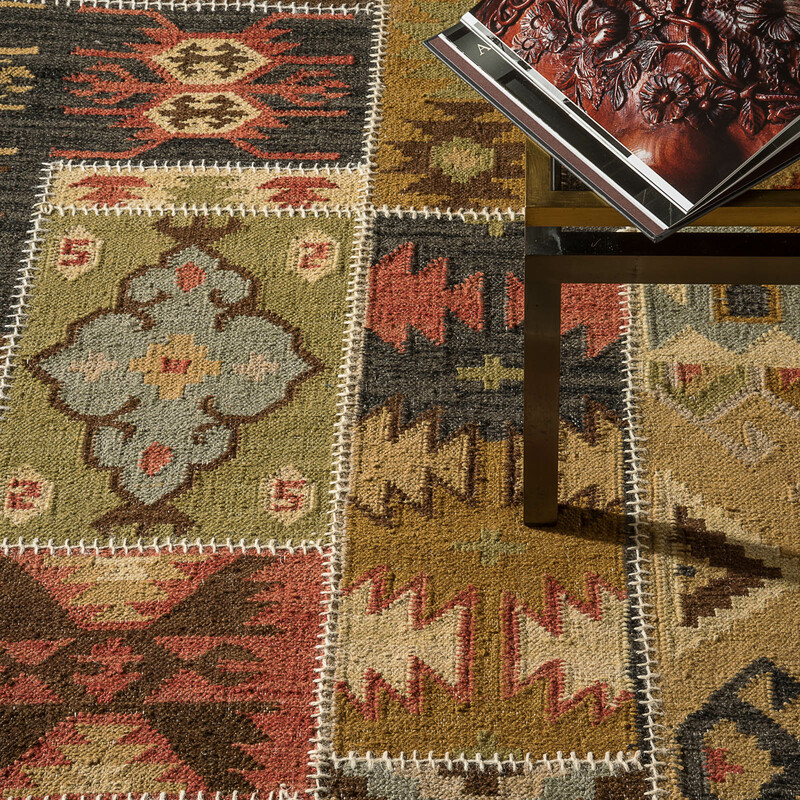 To view our Kilim Rugs, click here. A Kilim rug is different from a traditional rug due to the weave used to produce it. Kilim rugs are traditional, hand-woven rugs that are flat-woven and because of this, have no pile. 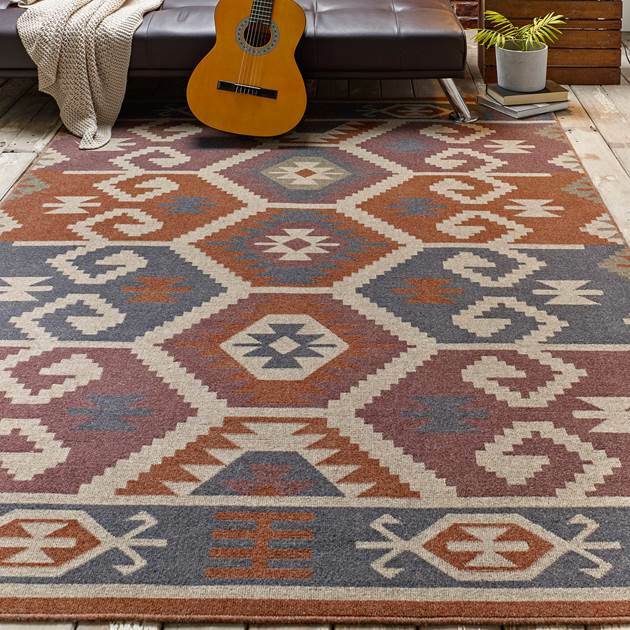 This makes them a very attractive option if you are looking for something particularly lightweight and simple, but that still offers a cultural connection with the origins of rug-making. Kilim rugs are formed by flat weaving with two sets of wool ropes. One set of wool ropes is set vertically, and the other is horizontally placed. The horizontal ropes are passed through the vertical groups of ropes and as soon as this rope reaches the end, it turns back on the same path. With the rope being passed over the same path repeatedly, decorative images known as ‘motifs’ are formed by using multiple groups of ropes all with different colours. Rug pile is traditionally made from wool, but since the turn of the 20th century, other fibers are now often used. Synthetic fibers such as nylon, polyester or even polypropylene are used, due to them being cheaper than wool. The pile of a rug normally consists of tufts that are twisted and then usually heat-treated to maintain their structure. 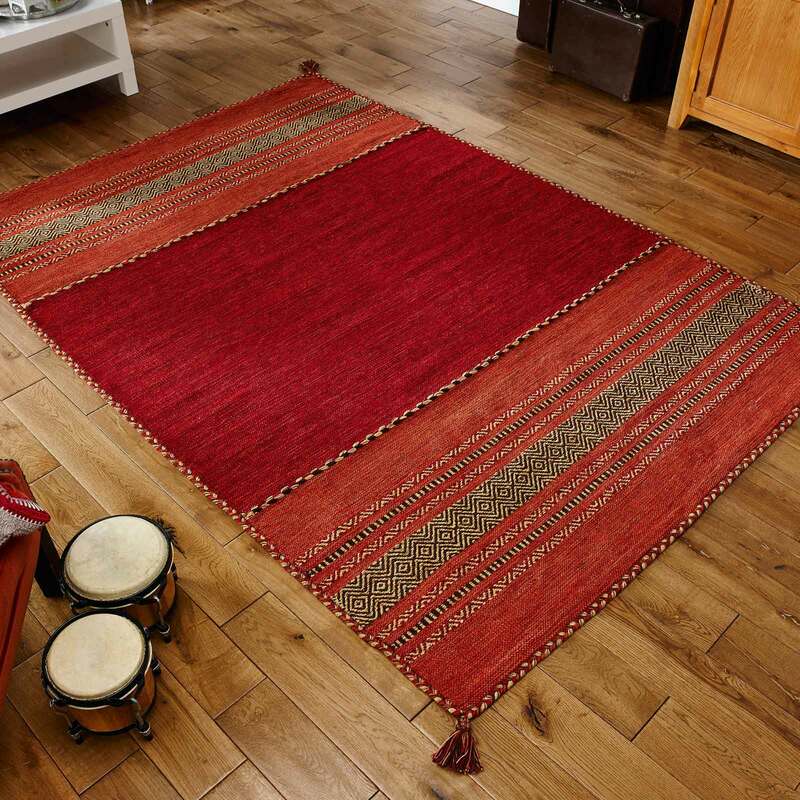 Rugs are used for a variety of purposes, including insulating icy toes from a cold floor, making a room feel homely, a place to relax on the floor, sound reduction and obviously to add a colourful bit of decoration to an otherwise plain room. Rugs can be created in any colour by using differently dyed fibers. Rugs nowadays can are usually produces using large machines called power looms. Power looms are unmanned and are instead electrically automated and controlled by computers. Depending on the fibres used, machine-made rugs usually have a lifespan of about 20 years or less. 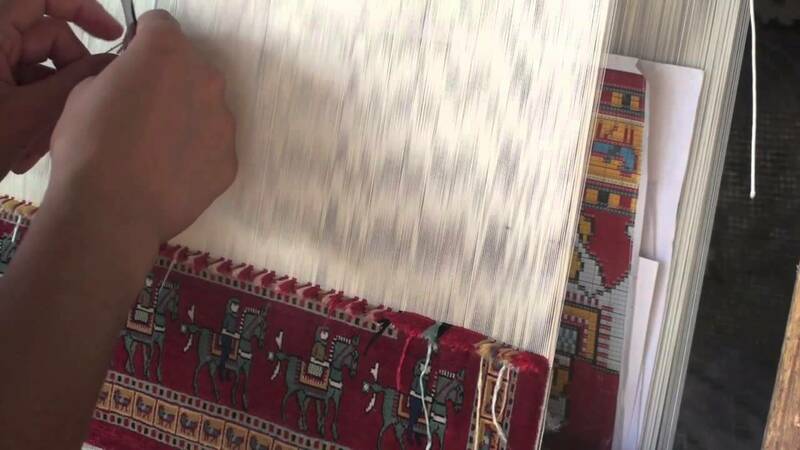 Compared to the long, time-consuming process of a handmade Kilim rug, power looms wrap individual fibers around foundation threads and then presses them together. Some machine made rugs can be made in just a day, which is a massive difference when compared to the 8-9 months that a Kilim rug can take! While it may sound like machine-made rugs aren’t durable, if a high-quality machine made, wool rug is cared for properly and well maintained, it can last for decades. However, when all is considered, even though handmade rugs have a heftier price tag, it should be remembered that you are buying a work of literal handmade art – a unique one-of-a-kind piece! Traditional rugs, by contrast, do have a pile. This means they are thicker and heavier. They are not quite as delicate and are more luxurious. These types of carpets and rugs are still made using traditional techniques. Of course, these days it’s possible to get traditional rugs that have those wonderful traditional designs and motifs but don’t carry the price tag of hand-woven rugs because they are made using machines rather than by hand. This means all budgets are covered when it comes to traditional rugs! A difference between the Kilim style of rugs and traditional rugs is that Kilims can have a wider range of uses compared to rugs. 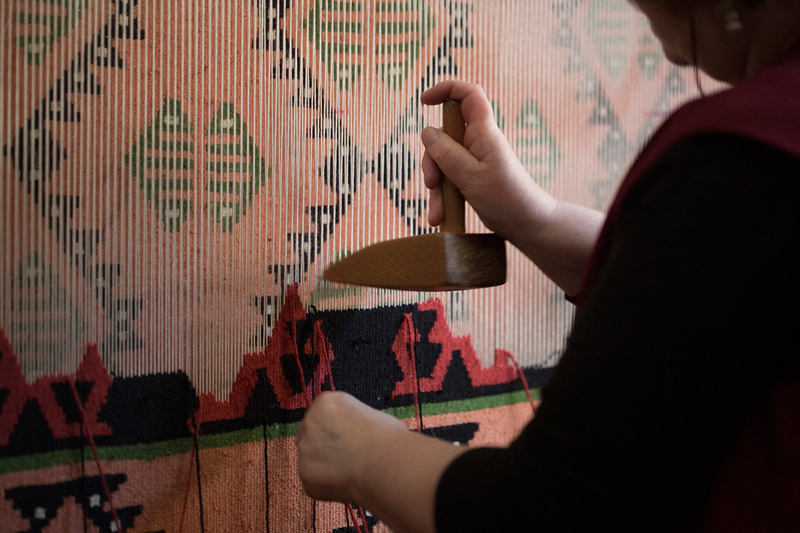 Due to the way that Kilims are woven, they can also be crafted into other things rather than just a rug. For example, items such as room dividers or even Chuval bags as seen above! What is needed to make a Kilim rug? In terms of materials, there isn’t much required. A loom, a beating comb, and a knife or scissors are the simple tools needed with wool being the primary material. Cotton, silk and animal hair (usually goat hair) are also often used, but mainly when combined with wool. This is usually because hair such as that from an Angora Goat is very soft and gives a silky sheen when combined with wool. Sometimes included in these rugs are gold or silver thread, beads, and other small decorative baubles that the weaver believe look good, but this is not always the case. When it comes to deciding which rug you want, you need to take a few things into consideration. 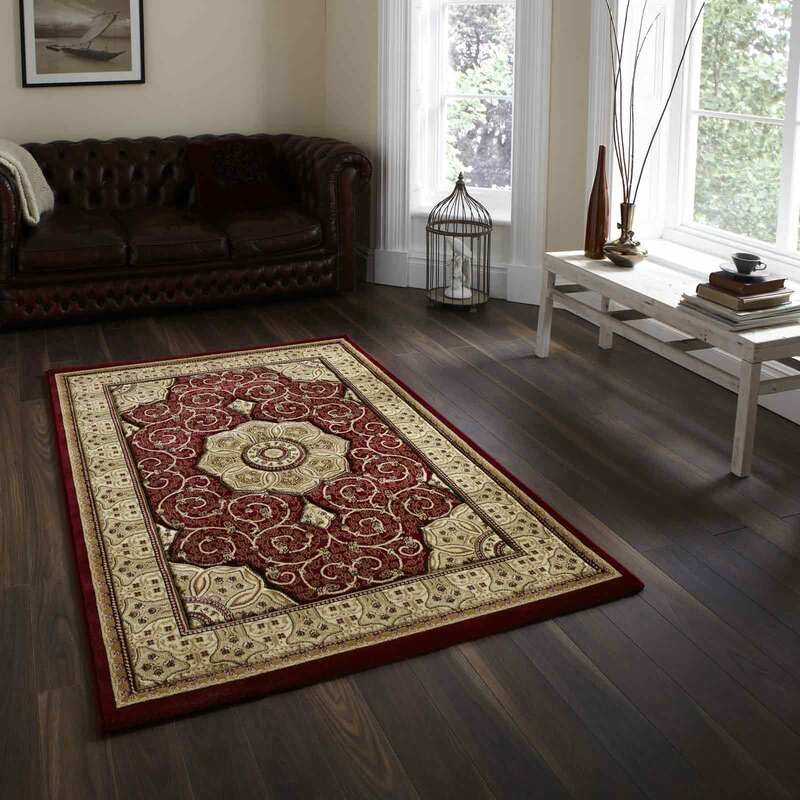 If you’ve got a wooden floor, tile floor or any type of flooring other than an actual nailed down carpet beneath your feet, it might be worth considering whether you want your rug to be a warming feature in your room rather than just a decorative element. 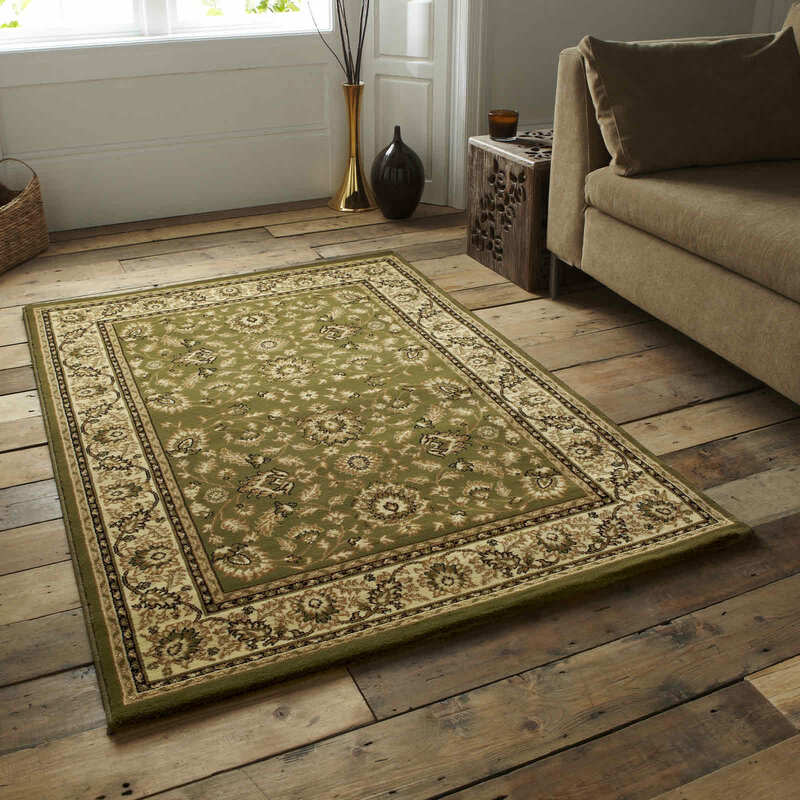 If you DO want a rug to keep your feet warm, a traditional rug would be more suited for this. This is because of the thickness of the pile as it makes the rug thicker meaning more heat can be trapped. Another thing that needs to be considered is the price. 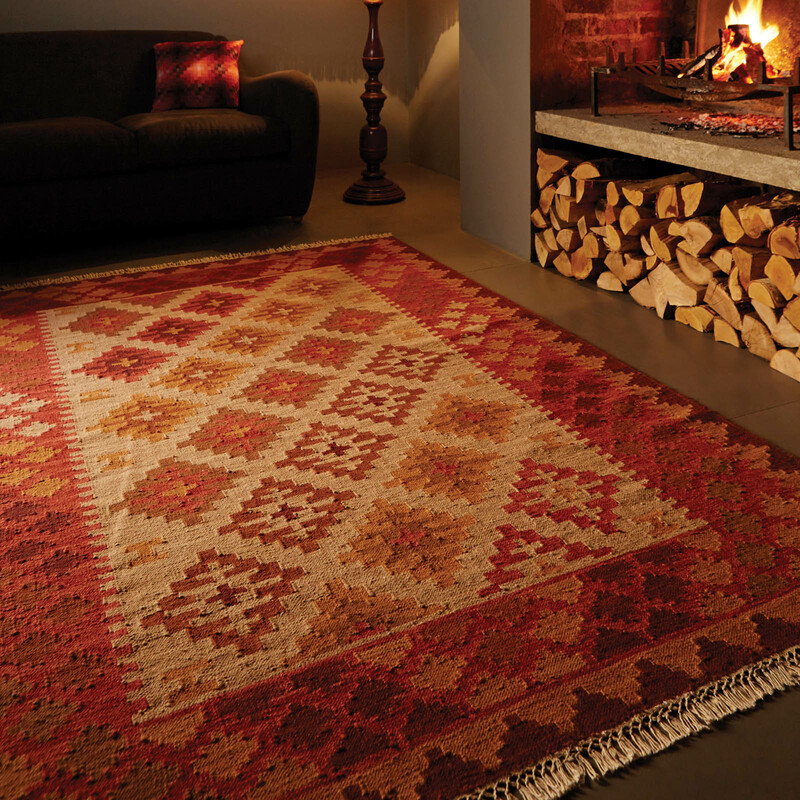 As earlier referenced, traditional rugs are usually cheaper than Kilim rugs due to the creation process. With traditional rugs often being machine made, it decreases the price and makes them more available for customers to buy. However, for authenticity, a Kilim rug would be better as, due to the tradition surrounding them as aforementioned, they’re usually handmade. Handmade rugs would offer a more homemade feel and would suit both a vintage style interior and contemporary interior (if it matches the style). 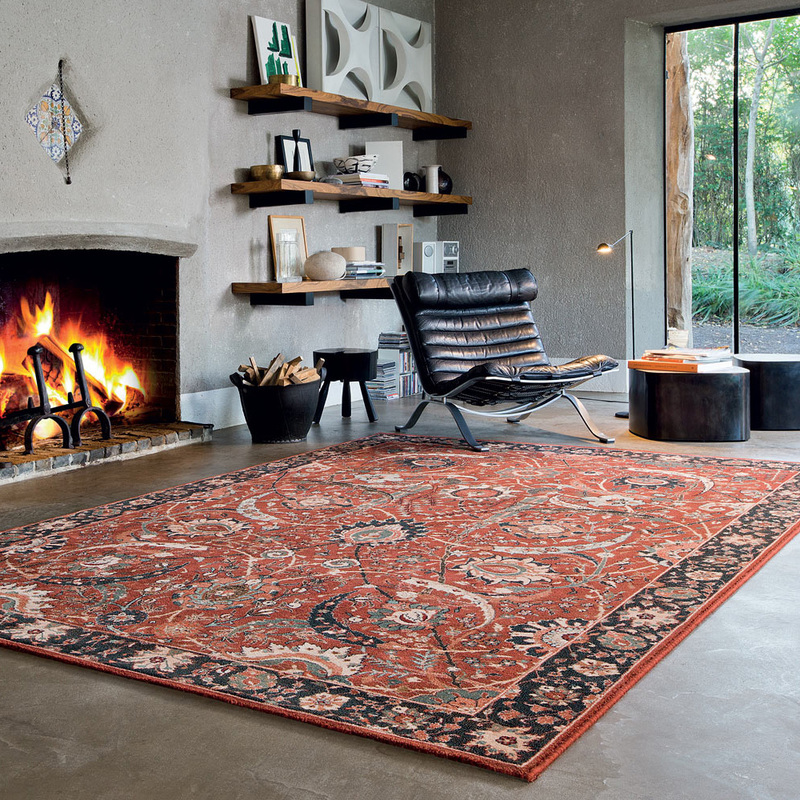 The aesthetic of a rug is often one of the main reasons – if not the main reason – that a rug is chosen. The aesthetic can change a room dramatically, so this should also be considered when buying a rug. There are usually more options of designs when it comes to traditional rugs, however, the designs that are often featured on Kilim rugs are more original. 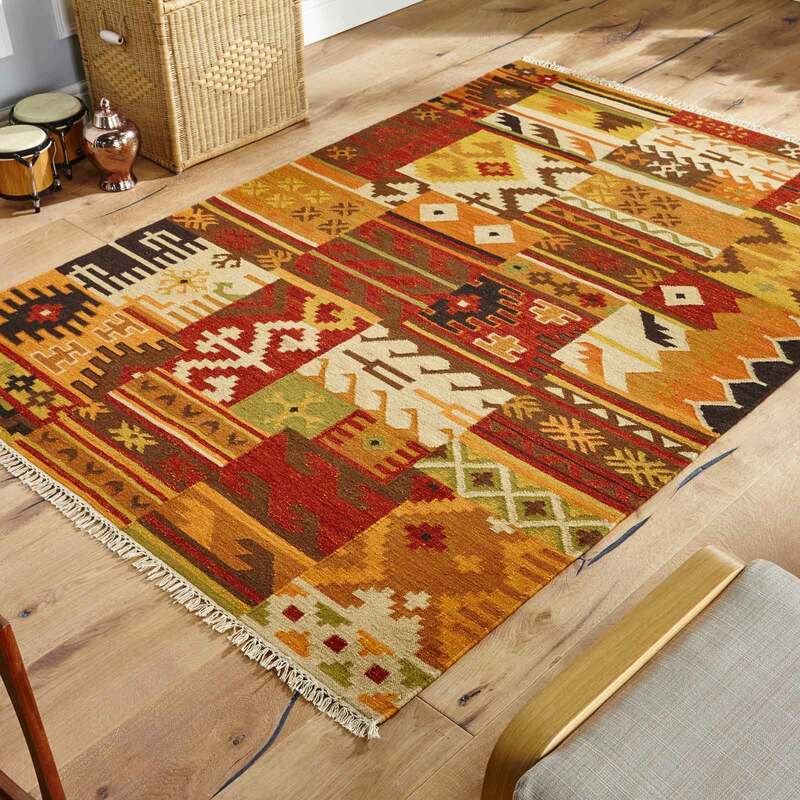 Furthermore, due to the nature of Kilim rugs, (with them being handmade), they’re one of a kind, unique pieces! A rug is a serious investment and so the durability of the rug you purchase is something that needs to be considered. Handmade Kilim rugs are more durable than Traditional machine made rugs due to the way they are woven. 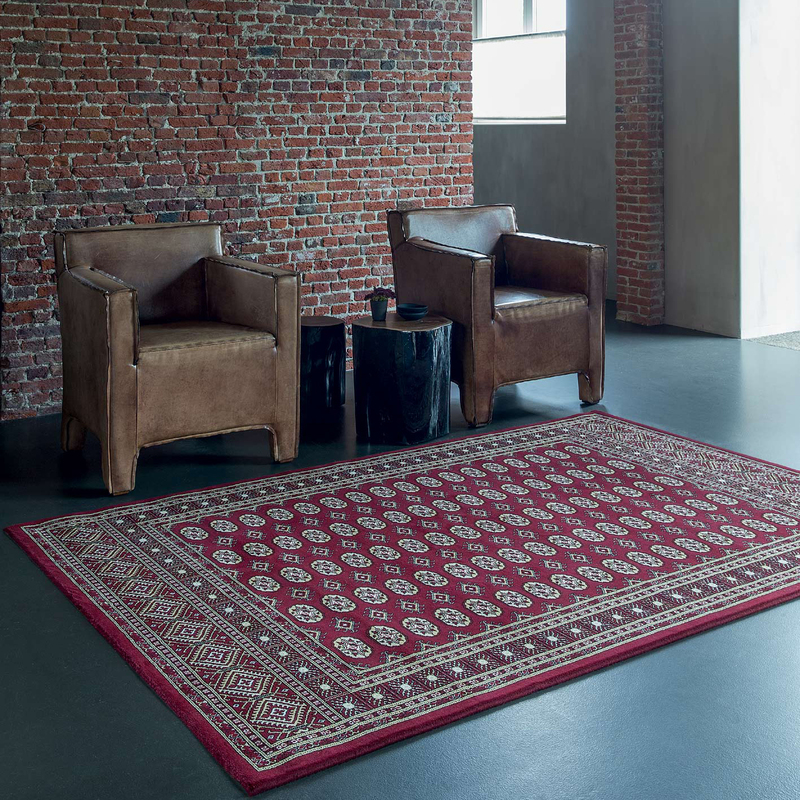 Furthermore, due to the easy replaceability, and they are made incredibly fast way they are made, machine made rugs are more likely to wear through before a handmade Kilim rug would. 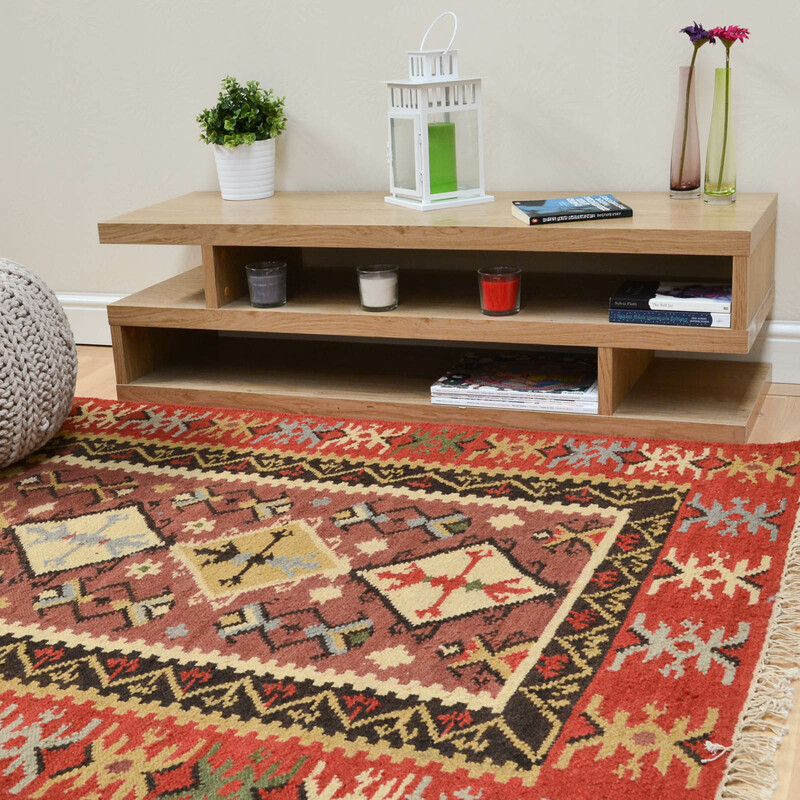 As previously mentioned, traditional rugs are usually thicker (due to the pile) than Kilim rugs, but this does not mean they’re more capable of taking any extra wear. Another thing to consider is spacing. When it comes to a rug, you need to think about how it will fill your room. You’ll also need to think about whether it will take up too much space. It’s amazing how different a flat-woven rug can be when compared to a thicker rug. In terms of how much it encroaches on the room. Even though Kilim rugs take up as much surface area of the floor as other rugs. The fact that they have a lower profile, and sit closer to the floor means they are sometimes less intrusive. Not to mention, designers often go to town with their designs, producing some truly wonderful examples of art! Finally, you need to think about how you are going to clean your rug. It is recommended to hire a professional cleaner. This is because average vacuum cleaners aren’t always able to remove all the dust, grime, and allergens lurking in your rug. Most (handmade) Kilim rugs, however, can be washed outside with a hose (but remember to avoid aggressive detergents). Make sure to use a 100% natural soap or even a carpet shampoo. Remember not to soak your Kilim and try to dry it flat. Preferably outside, whether that’s on grass or gravel. Just make sure to place it where water can drain, as this could risk the colours bleeding. 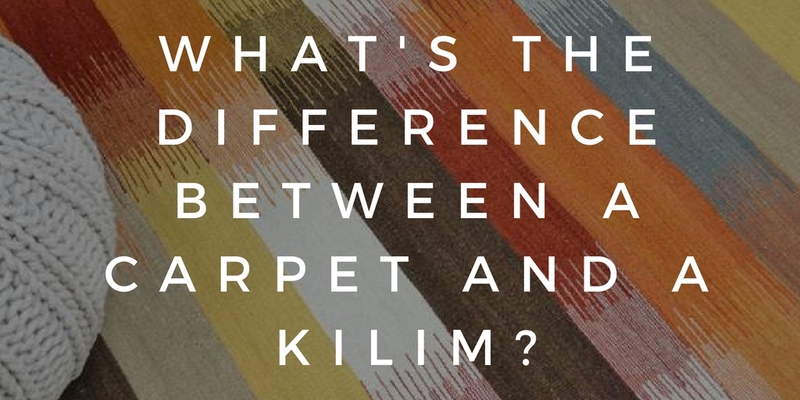 Hopefully, you now have more of an understanding of Kilim rugs. Maybe you’ve even got more of an idea of what rug you’ll want in your home! Which kind of rug do you prefer? 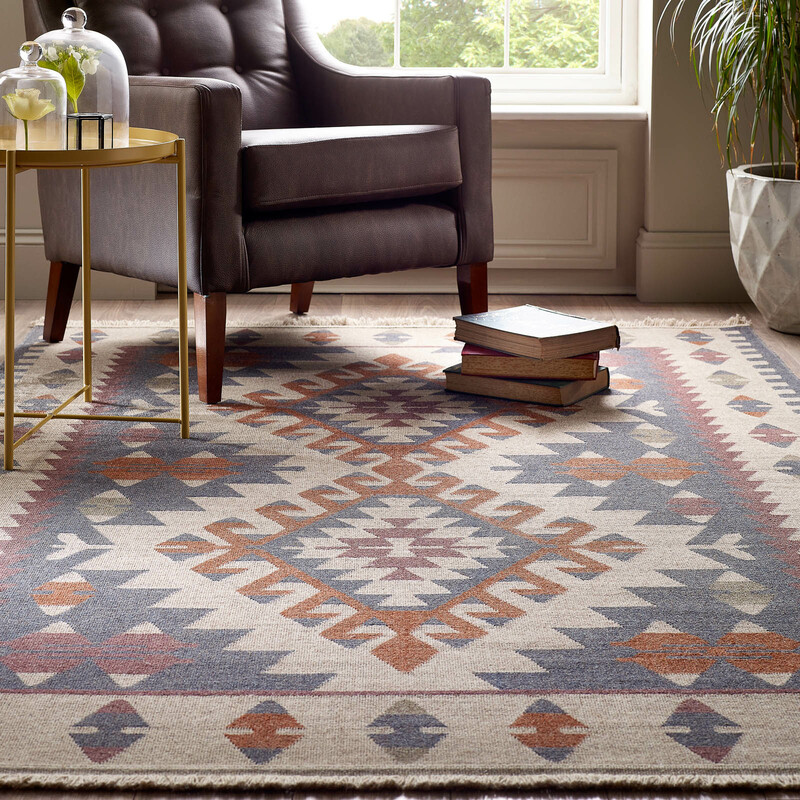 A Kilim rug or a Traditional rug? Let us know by commenting below! Owner and founder of The Rug Seller in 2003. 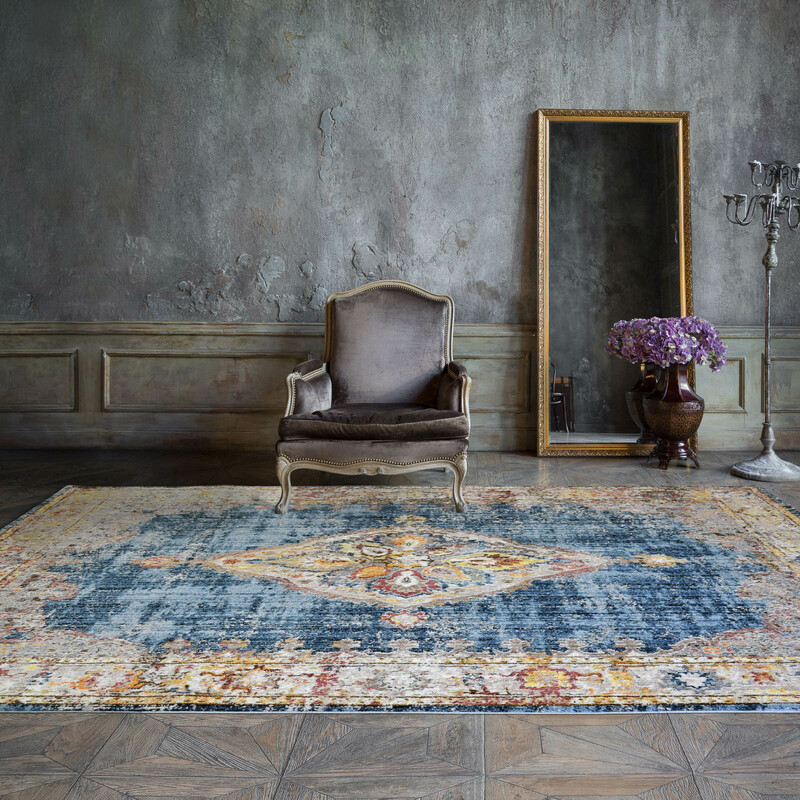 I am passionate about Homes and Interior Design and have sourced over 22,000 rugs from around the world around our core values that represent Style, Quality and Exceptional value for money. Follow our blog for style inspiration, tips, competitions and advice. Helpful and informative. Beautifully illustrated. Had always thought Kilims to be “inferior” to handmade traditional rugs (though not to machine-made ones) but you have helped me with my prejudice. Congratulations! Hello John 🙂 Very happy to help! Thanks for the kind words. Bought a very nice kilim I think afghan Kurdish from cappadocia turkey for approx 200 gbp Sterling. Very happy. Used as a sofa cover. As you have the great sense of interior, I wanna ask you something. Recently I’ve got the interior of my entire house. Reds, strong blues and vibrant greens in particular. Please suggest me the best Area Rug, as I have a wooden Dining table in my dining room with vintage cutlery set and blue color painted walls, Suggest me something which goes absolute fabulous with this combination. Hi William, first things first, what kind of rug are you looking for? Is it a Modern, Traditional, Shaggy, Hall Runner etc? Then which colour are you swaying towards? As you’ve mentioned your home having red, blue and greens in it. A rug with any of those colours or a neutral white, would look lovely within your interior. 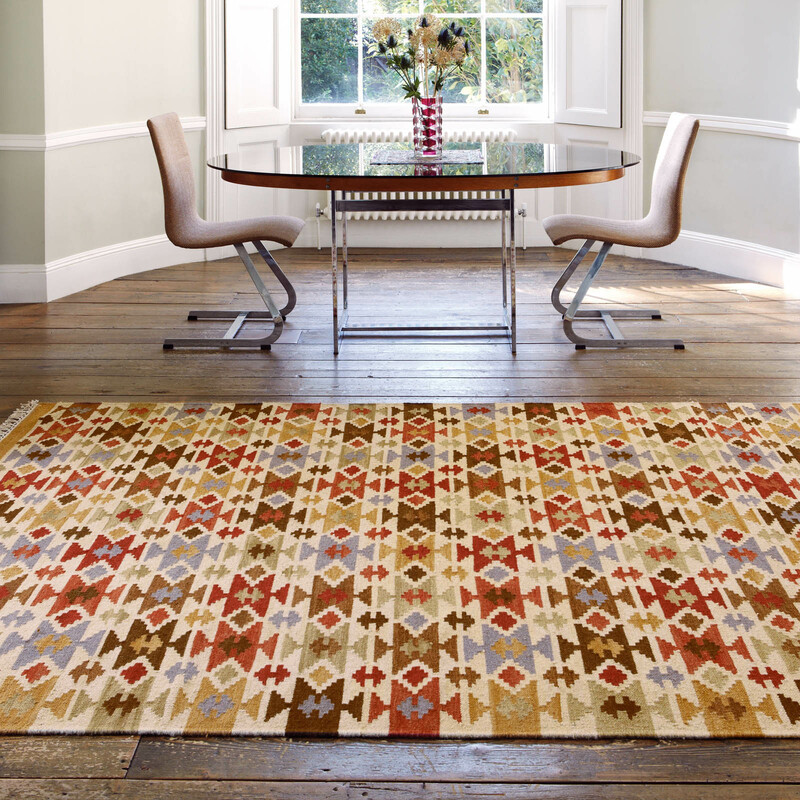 Have a look at our traditional rugs as i would recommend them for a dining room. Thank you for this great info! You answered every question I had! Beautiful post!-everything’s explained in the most sensible way. I really appreciate it. Really great post! – this one has a role model dimension. The work done is extremely amazing. Nice blog, I really appreciate it. It is nice to décor area with rugs. A rug can make your house perfect and decorative.